A secret chamber for a professional lady, an one whole unique space which opened up the 2 typical rooms into 1 spacious room. 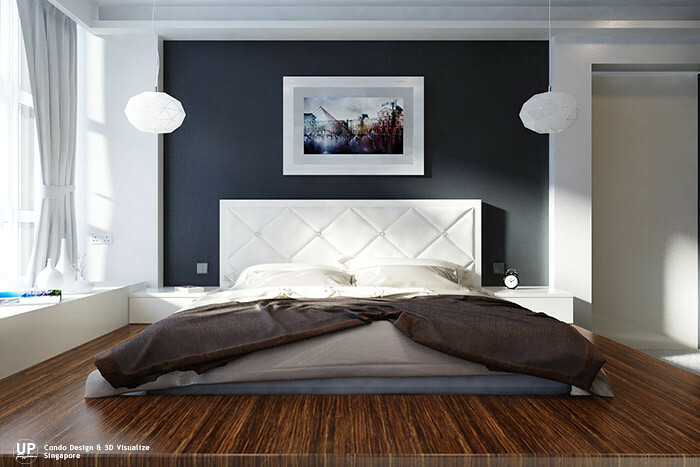 With her preference of a platform bed, selection of veneer material in traditional wood-grain texture give a seamless finish for the platform. 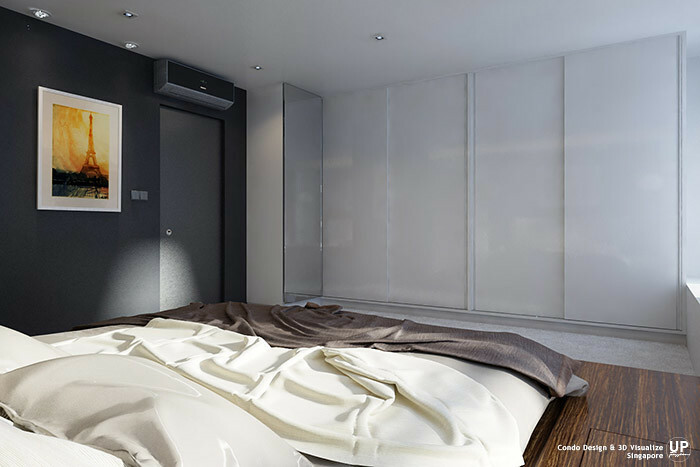 Modern combination of color in white, grey, black and cosy wood-grain textured become most of the young professional's favourite color. 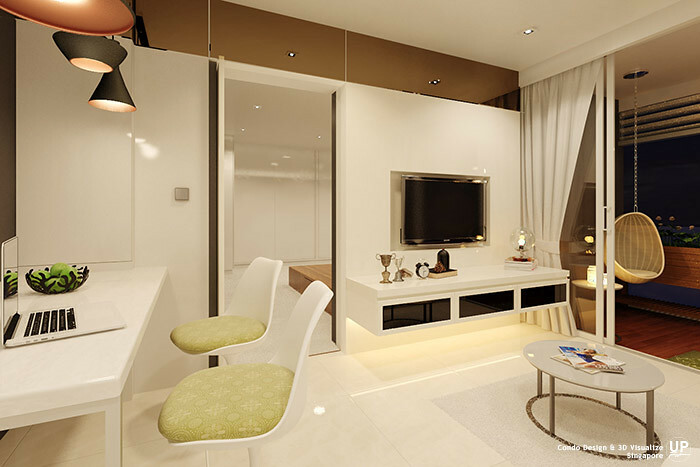 Limited space for the living room is not an issue to the designer, as combination of high-gloss white color laminate and bronze mirror for the whole stretch panel of tv console to dining area, together with a concealed door to bedroom creates comfortable room for the user. 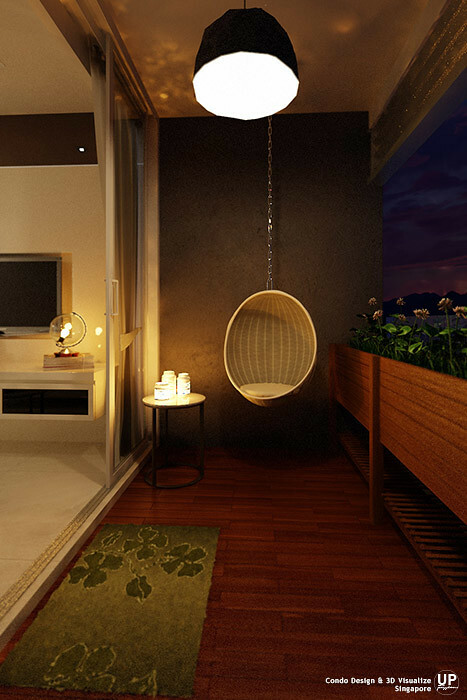 To fully utilize the entire space in the house, balcony also a good place to relax. And now, our client can spend more time at the beautiful balcony on swinging wicked chair beside little green wonder of balcony planter with comfort touch of outdoor timber flooring. It is a luxury to own a greenery in this concrete jungle. 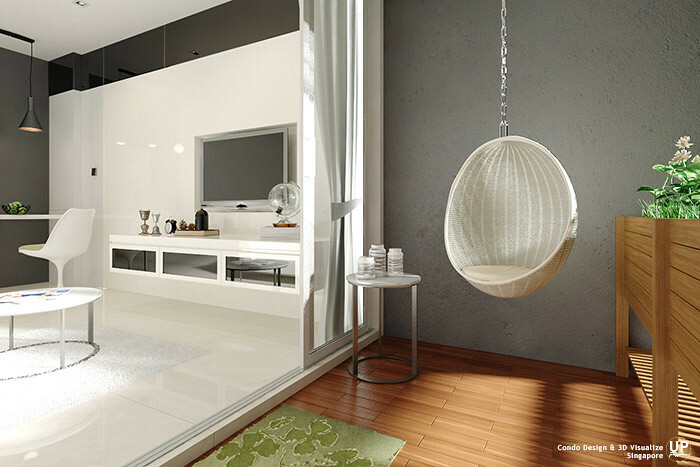 With the sliding doors opened, it make an open space concept to merge the living room and balcony together. 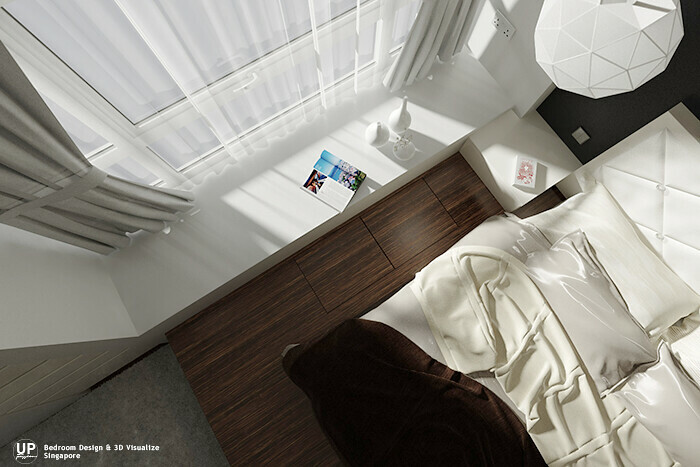 3D visualise by UP creations.